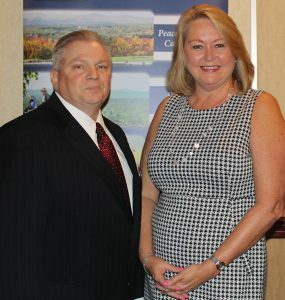 From Susan C. Ryan, CEO & President and Michael F. Ventura, Chair, Board of Directors. Today’s world is equally enlightened and tough for kids. For children with intellectual, developmental or neurological challenges, including Autism Spectrum Disorder, there are many more family and community-based supports than ever before. This is truly wonderful, and the more we progress, the further we can improve services for those children, families, and importantly school systems, so children can receive the education they deserve and participate fully in their community. 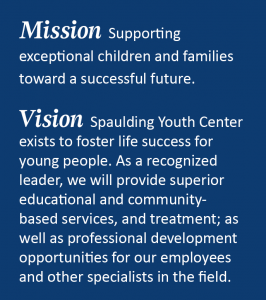 For those children whose needs exceed a family’s or school’s capacity, Spaulding Youth Center is here to provide what’s required for success. Lots of society’s pressures affect children, both openly and in unseen ways. The children who have experienced Adverse Childhood Experiences, such as trauma, abuse or neglect, often need intensive therapeutic approaches to help them reach their full potential. Parental addiction to drugs or alcohol, mental health issues and all forms of abuse impact children and manifest dysregulated behaviors based on intense grief, anger, fear and so much more. In many cases, these children can heal and the developmental damage done can be eased with proper intervention. The caring staff at Spaulding Youth Center are specially trained to address this need. Special Education and Therapeutically Intensive Residential services are often a mystery to people. Most people don’t realize that when a child is accepted into Spaulding’s programs, we not only implement a plan of care but immediately begin to identify how the child can be reunited with their family when that is an option, or within their community otherwise. Spaulding develops individual approaches for each child so they can attain academic and life success, whether they are a day student in our school or a residential student on our campus. However, we immediately begin planning for them to leave because that is always the goal – whether it be around their transition to adulthood or back to community schools and family. 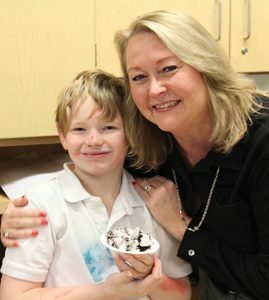 Our staff cares deeply about each child in our programs and are fiercely proud of each student’s success and the role Spaulding plays in helping them achieve their success. In our community-based programs, we work with foster families and children in their care to provide focused supports in the areas needed for both to be successful. Today, the need and complexity of foster care is growing and evolving, and each situation presents the team at Spaulding with unique challenges. We rise to the occasion and focus on positive outcomes so that the children and families can prosper. The work we do is complex and requires highly-dedicated and trained staff who can embrace the intellectual and physical demands along with the emotional side of our work. I am proud to say we are a compassionate and talented organization who, for almost 150 years, have responded to the shifting needs society presents for our children and families. With the help of our board and supporters, we are able to provide the services needed for each child and family to be successful and we are proud of that, too. We hope every person who gets to know Spaulding becomes inspired by what they see us accomplishing every day. We are an optimistic and grateful group of people working hard to make every day a step forward in the lives of the children and families we serve. We appreciate you being there alongside us in this journey!